All the light-up colors and built-in displays on the upcoming NI Komplete Kontrol keyboard may be aimed mostly at users wanting plug-and-play access to instruments in Komplete. But for the DIYer, there’s potential, too. Komplete Kontrol is the first hardware interface built with Reaktor patchers in mind. It’s not likely to be a feature of the marketing, but Reaktor lovers will be able to build specific integration into their creations. Kontakt scripting will have the same functionality, if you’re designing sample libraries. We spoke to Gwydion at NI to get some specifics even before this launches. This should come as good news to Reaktor fans even if you don’t get Komplete Kontrol. The integration will be possible whether or not you own the hardware, and should generate more attention and enthusiasm around Reaktor. First off, let’s talk about what you can’t do. 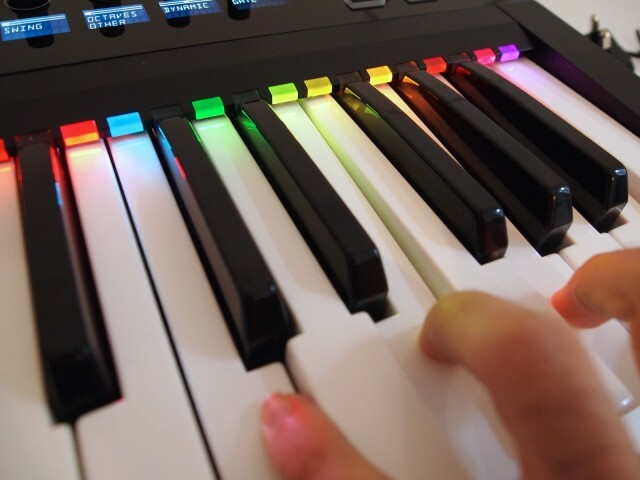 You can’t control those colored light-up LEDs via MIDI. That I think qualifies as bad news; even Native Instruments’ own Traktor Kontrol line lets you send RGB messages to the colored pads via MIDI. Komplete Kontrol is different, however; the host software is what controls the colored LEDs and parameter displays (Komplete Kontrol). 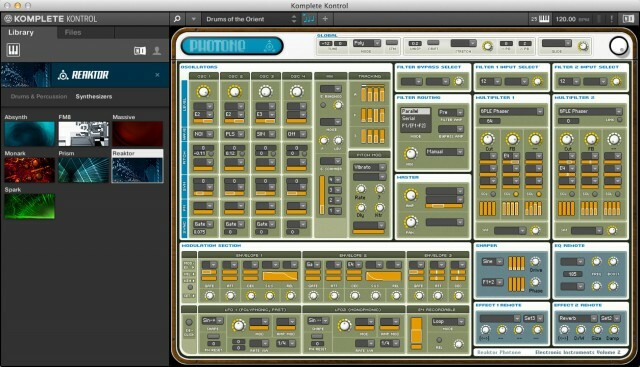 But Kontakt and Reaktor builders will be able to access that feature via scripts and patches. That means especially interesting stuff in Reaktor: you’ll be able to use colored light feedback directly in a patch, would could lead to unusual new instruments and sequencing ideas. 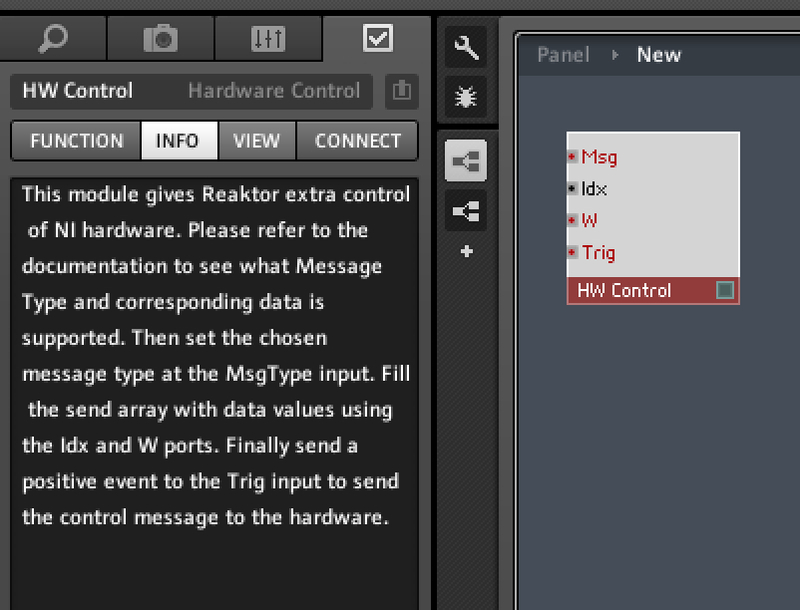 In the upcoming Reaktor 5.9.2 update there is a new module called HWControl. It’s output only. The documentation contains tables showing how you can control the S-series LEDs from your Reaktor creation. You can set the following properties per note: colour (1 of 16 colours and off state), whether Note Pressed indication is handled by Reaktor or by Komplete Kontrol, whether the note is a standard note or whether it’s a control type (e.g. keyswitch). The latter parameter is important, for example to tell Komplete Kontrol arpeggiator to skip this note. As default, the Kontrol software will take care of the LED colours. But, by adding the HWControl module to your own creations you can create custom colour patterns and control key ranges. Not just Pretty Lights. LED colors are cool, but I bet you’ll be even more keen to use the displays next to the encoders. Reaktor + keyboard integration isn’t just limited to the LED colours. We’ve also added an Automation Module to Reaktor which adds support for dynamic parameter labels. This becomes invaluable when you have macro controls and instead of having to call them something generic for the host, the builder can now change the automation label during runtime depending on what the macro is currently mapped to. Reaktor integration. To me, the new Reaktor instruments already look like the best stuff in Komplete 10 – with or without the Komplete Kontrol hardware. With the keyboard, they literally light up. Both Rounds and PolyPlex use the HWControl module to customise the LEDs to the instruments – to great effect. You can really play the keyboard and use key switches without having to look at any screen now. With Kontour, there’s no custom LED mapping – Komplete Kontrol handles it all. We’ll be uploading some helpful macros to the Reaktor User Library to speed up building with the HWControl module, including a S-Series simulator so that even keyboard-less builders can prepare their creations for integration. I’m slightly biased here in that I haven’t had Komplete 10 to properly test – this is the reason anything I’ve said about the hardware so far isn’t a review. But already, I’ve found it most appealing messing with the Reaktor library. It’s a great time to love patching. Max 7 is on the horizon, and Max for Live is robust as ever (and integrates with Push). Pd remains the free, omni-platform tool that’s lightweight enough to build into games, iPhone apps, or run on a Raspberry Pi. And Reaktor is still a terrific go-to tool when you just want to focus on instruments and effects, with unique granular functionality, ultra-quick construction with ready-to-use ensembles and modules, and recently refreshed with OSC support and a new user library. So putting it together with keyboard interaction is a nice extra. It’s funny, you hear people talking about modular hardware a lot – and I definitely get the appeal. But modular software offers its own universe of endless possibility, and it doesn’t take up space or weight (or very much, if any, money). There’s certainly never a reason to ever know again the feeling of boredom. We’ll be following all of these.